What’s It About? James Wan released the exceptionally creepy horror flick, The Conjuring, just last year and successfully had everyone who watched it checking inside their wardrobes before they went to bed. Verdict: First of all, Wan exceeded all possible expectations with The Conjuring. In a welcome shake up to the exhausted horror genre, the savvy director opted for eerie anticipation and spine-tingling build ups rather than in-your-face, ‘jumpy’ terror. Who can forget the clapping during that game of hide and seek? Or that chilling line: ‘She’s standing right behind you’? Even now it’s enough to make the hair on the back of your neck stand up. 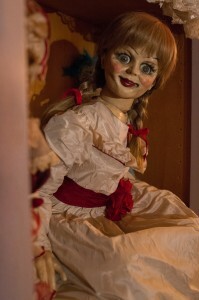 Although Wan gave his director’s chair to John R. Leonetti for Annabelle, he still took on an influential role as producer of the film, and you would hope that it would maintain the same ‘type’ of horror as the film’s predecessor. Unfortunately it isn’t the case with Annabelle. Annabelle starts off strong, following pregnant Mia (Annabelle Wallis) and her husband John (Ward Horton) as they prepare for the birth of their first child, with John buying his wife the innocent Annabelle doll as a gift. However when tragedy strikes the neighbourhood the doll becomes possessed by an evil and deadly spirit, which won’t rest until it gains a soul. The build up to Annabelle becoming possessed is expertly played out by Leonetti, with the same terrifying anticipation building up as seen in The Conjuring. Unfortunately though the film then makes a remarkably steady decline from the strong beginning being let down by a diluted middle, only to reach a truly unbelievable and borderline ridiculous final climax. Throughout the 97-minute run time Annabelle sadly manages to fall into every cliche of the horror genre, with most of the scares coming via jumps rather than terrifyingly subtle implication, and the demons being too stereotypical of every cinematic demon that has come before it to ignite anything new inside the hardened and desensitized audience. The cheap scares are only worsened by an implausible storyline, with the characters doing things that you would never actually do if you were in that same situation. This makes them unrelatable and the bizarre actions of the characters jerk you out of the film and back into reality, rather than keeping you engrossed in the story. Final Words: The bar was set far too high by The Conjuring for its sub-par prequel to even come close to achieving the same level of terror. Although the scares are most definitely there, they come via jumps and loud music rather than the psychological fear that captured your mind in the original film.Basically, although you might let out a yelp while watching Annabelle in the cinema, it’s not the kind of film that will keep you up all night. It seems like the production was too eager to cash in on the reputation that Annabelle gained from The Conjuring and rushed to get the film out quickly rather than take the time to ensure that the film’s plot is strong enough to carry her story and do her justice. 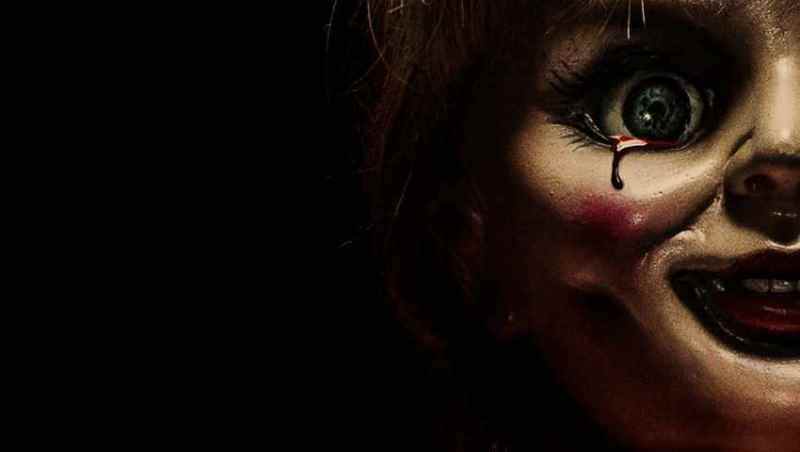 Annabelle is more reminiscent of the old school horror films, such as The Omen or Rosemary’s Baby, which just isn’t enough to truly scare audiences anymore. In order to really leave a lasting impression, Leonetti and Wan needed to join together and bring something fresh and innovative to our screens; not the same, recycled horror cliches that we have been watching for over fifty years. Horror is a hard genre to crack, but the fact that Wan managed to bring something new and exciting just last year proves that it isn’t an entirely impossible feat.